Daisy is extra special here at Asoro’s. Her sire Kiefer (Ch Meadowpond’s Playin’ With Fire) is old time pedigree. In fact, he is the last of his lines. A search was conducted recently to find any alive and intact males out of Kiefer’s sire, he was it. Asoro’s set out to try to preserve this clean and sound pedigree. We, through the help of a Veterinary Reproduction Specialist were able to get two litters. Daisy is out of our Nicki and Kiefer, and our Snickers is out of Kiss and Kiefer. 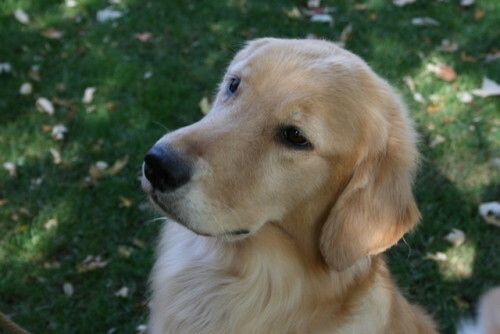 We are most proud to have them in our lines, and most proud of this contribution to the Golden Retriever breed.